With two wide handles on the side to facilitate lifting and non-stick cooking surface, this is a dream pan to own. This pan is constructed with a pressure-cast aluminium body to ensure even heating without warping. The ceramic titanium compound is super heated, then fired onto the pan's exterior for an extraordinarily hard surface. Scanpan guarantee that their products are free from material and manufacturing defects in a period of 10 years from the purchase. 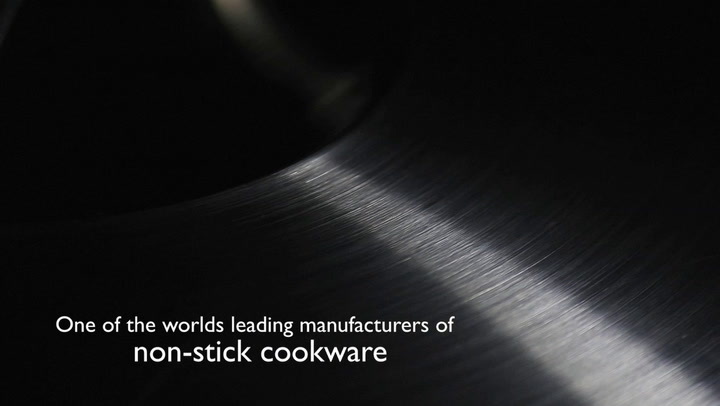 View more from Woks & Stir Fry Pans, Scanpan Classic. This is a top class pan. It is very sturdy which makes me doubt it will ever warp - great for high heat; and it cooks evenly without any noticeable hot spots. It's also a good size. I have found it to be perfectly non stick and with a lid on, also great for braising. It is the best pan I have ever used and worth every cent of the price. Scanpan is the best range I have ever bought, and believe me I have bought lots of pans over the years. Amazing range - non-stick, doesn't scratch and coating does not come off and bonus can go into the oven. LOVE this range and can't wait to purchase my next one. Worth every cent!